Save Sheboygan's Municipal Auditorium & Armory! 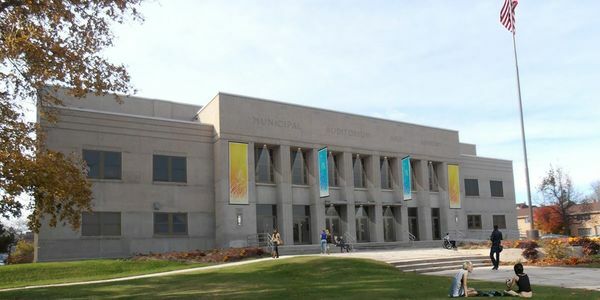 Built in 1941, Sheboygan Municipal Auditorium and Armory was the centerpeice of Sheboygan's community for decades. Without your action the building will be demolished. Tearing down the Armory would be a step backwards in the revitalization of our city, and an historic loss for the Sheboygan community. The Armory Community Project, Inc. already has in place a proposal to renovate and utilize the building for the community. If the City of Sheboygan commits to saving this historic building, it would be a commitment of good stewardship to the community and a promise to preserve an asset that is an integral piece of the city's revitalization. Please help save the Armory from the wrecking ball by signing this petition, and help preserve an important piece of Sheboygan history. $5,000 Sheboygan Facade Grant secured. We hit our original goal of 500 in under 48 hours! Thank you to everyone who has signed. If you haven't already please consider sharing this petition on facebook. Thanks again, we are truly blown away.